Power up on the go with a TP-Link 5200mAh Power Bank. 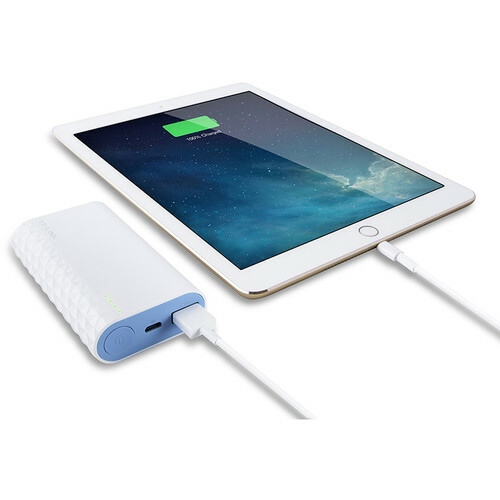 This battery pack has a 5200mAh capacity and charges your device at 2.4A via its USB Type-A port, enabling it to charge power-hungry tablets as well as smartphones and accessories. It is compatible with most USB-powered devices that accept 5 VDC power input. The pack recharges from 0 to 90% capacity in approximately two hours when connected to a 5V/2.4A supply. An LED indicator strip shows charging status or battery level. Integrated smart charging identifies your device and delivers the fastest charge possible. For safety, over-voltage, over-current, over-charge, over-discharge, over-heating, and short-circuit protections come standard.